Interested in Car Rental in Venice? 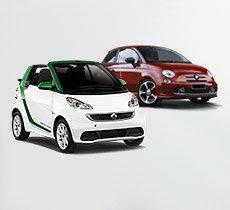 Find out more about car hire with Europcar in Ukraine and worldwide! Car rental in Venice. Conditions of car rental in Venice with Europcar! Additionally, at the time of renting a car in Treviso Airport, your credit card will be blocked by the amount of the deposit, which will be immediately unlocked for prompt return of the car without damage and with a full tank. Departure is permitted only on the following categories of cars: EBMR, EDMR, CDMR, CWMR, IDMR, IWMR, IVMR, FVMR, SVMR (NO VOLKSWAGEN BMW and Mercedes). Additional services: Baby seats, snow chains, ski racks and GPS can be ordered online at the time of booking car rental in Venice Airport. 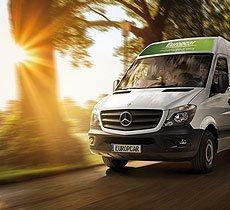 Europcar is a partner of many airlines and hotel chains. 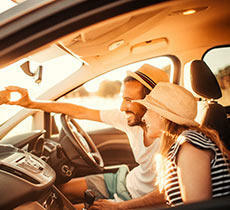 Every time you rent a car with Europcar you can earn miles program: Miles & More, Air France / KLM - Flying Blue, Delta Skymiles, AirBerlin Top Bonus, Turkish Airlines, Hilton HHonors, and many others. To earn miles, select the program and specify the number of your membership card at the 3rd step of the booking. To get low rates for car rental in Venice Airport, book in advance, as soon as knew travel dates. 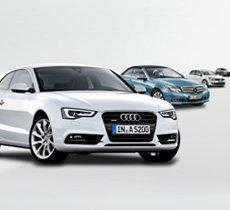 To be able to choose from a wide selection, booking a car at least 10 days before the start of the lease. Especially for vehicles with automatic transmission. We advise to book a car directly from Europcar website, and not on the site facilitator, because only when you order a car directly you are guaranteed to get the ordered group of cars. And if you have additional questions Europcar reservation department will provide you with complete information in the shortest possible time. When booking a car in Venice Airport, Europcar confirms only cars category and transmission. That is, ordering a compact car with automatic transmission you will get a car for 4 people, with 'automatic' without reference to the model. You will get a car with a full tank of fuel, and you need to return, as well, with a full tank. Also you will be offered the opportunity to purchase a full tank of fuel at a good price. This is useful if you are renting a car for a business trip, as the cost of fuel can be included in the lease agreement, this reducing the number of accounting documents for your accounting department. Before renting please check a car, be possible to photograph the damages and make sure that they are marked in rental agreement. If you make prepaid booking via Europcar web-site, you must provide the same card for the deposit. Going on a trip, we want emotions that will leave bright and unforgettable mark in our life, will open up new opportunities and horizonts! 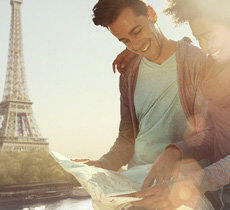 Renting a car from Europcar, you'll see how easy and comfortable to travel the world! Venice - the city of romance, bridges, canals and magnificent ancient architecture. We offer after arrival to leave things at the hotel and go straight to the Piazza San Marco, to feel yourself in the arms graceful Venice while sipping a cup of coffee in the middle of the square! Of course, you will find the world-famous Grand Canal, the so-called main traffic artery of the city. Friendly and very charming gondolier will invite you to an unforgettable romantic stroll. One of the most recognizable landmarks in Venice is the Rialto Bridge - the oldest bridge across the Grand Canal, it connects the two sides of the canal and bridges there are only four. Teatro la Fenice - the place where in the XVIII century, going all the aristocracy! He is now open, after 8 years of restoration, and is ready to receive you in his golden hall. For a more convenient travel for all the attractions of the city and surrounding area, you will encourage you to take advantage of car rental Europcar. Small Palazzo Contarini del Bovolo, which is located in a small side street known as Calle della Vida, will surprise you with an elegant spiral staircase with lots of arches. Visiting the Venetian Arsenal, you will plunge into a thriving Venetian Empire. This shipyard and arsenal played a leading role in building the city. Try a good wine and coffee you can at any place. But mostly colorful restaurants with national cuisine are on the outskirts of the city. Grigliata mista - it's a fish dish which recommend that all Venetian restaurants . Venice is shrouded in legends. One of them is about the love between a noble lady and a troubadour. To overcome the social gap, troubadour went to war, and became famous for his exploits there. But could not return because died a heroic death. Scarlet rose before his death, he asked him to convey his beloved. Great lady received a scarlet rose bud on the day of St. Mark, April 25. So to this day, April 25, at Venice lovers give each other a scarlet rose bud, as a sign of love that will surpass all the obstacles .